Ben Rich Lockheed Skunk Works director had admitted in his Deathbed Confession that Extraterrestrial UFO visitors are real and the U.S. Military travel among stars. According to article published in May 2010 issue of the Mufon UFO Journal. Ben Rich, the “Father of the Stealth Fighter-Bomber” and former head of Lockheed Skunk Works, had once let out information about Extraterrestrial UFO Visitors Are Real And U.S. Military Travel To Stars. What he said might be new to many people today, but he revealed the information before his death in January 1995. His statements helped to give credence to reports that the U.S. military has been flying vehicles that mimic alien craft. 4 : When Rich was asked how UFO propulsion worked, he said, “Let me ask you. How does ESP work?” The questioner responded with, “All points in time and space are connected?” Rich then said, “That’s how it works! 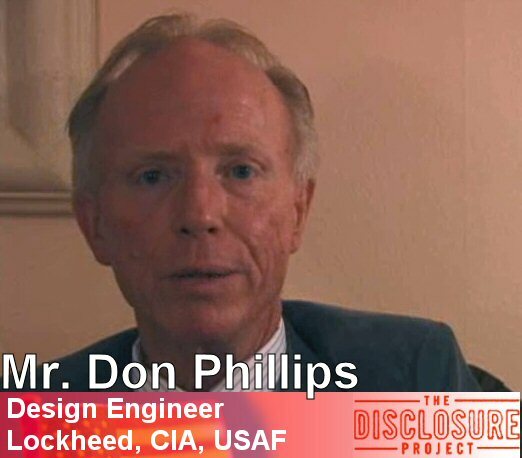 Don Phillips, “These UFOs were huge and they would just come to a stop and do a 60 degree, 45 degree, 10 degree turn, and then immediately reverse this action”. During the Apollo landing, Neil Armstrong says, “They’re here.They are right over there and looking at the size of those ships., it is obvious they dont like us being here”. When I was working with the Skunkworks with Kelly Johnson, we signed an agreement with the government to keep very quiet about this. Anti-gravitational research was going on. We know that there were some captured craft from 1947 in Roswell, they were real. And, yes, we really did get some technology from them. And, yes, we really did put it to work. We knew each other from what we call an unseen industry. We can term it black, deep black, or hidden. The knowledge I have of these technologies came from the craft that were captured here. I didn`t see the craft, nor did I see the bodies, but I certainly know some of the people that did. There was no question that there were beings from outside the planet. And if alien were hostile, with their weaponry they could have destroyed us a long time ago .We got these things that are handhold scanners that scan the body and determine what the condition is. We can also treat from the same scanner. I can tell you personally that we’ve been working on them. And we have ones that can diagnose and cure cancer. One of the purposes I had for founding my technology corporation in 1998 was to bring forth these technologies that can clean the air and can help get rid of the toxins, and help reduce the need for so much fossil fuel. Yes, it is time. I can tell you personally that it has already started.